Sadly, another great screen legend passed away last week. Sir Christopher Lee, who was aged 93, when he died at Chelsea and Westminster Hospital on 7th June 2015, having been admitted with respiratory problems and heart failure. The man had lived a full and amazing life that reads like a movie script itself. 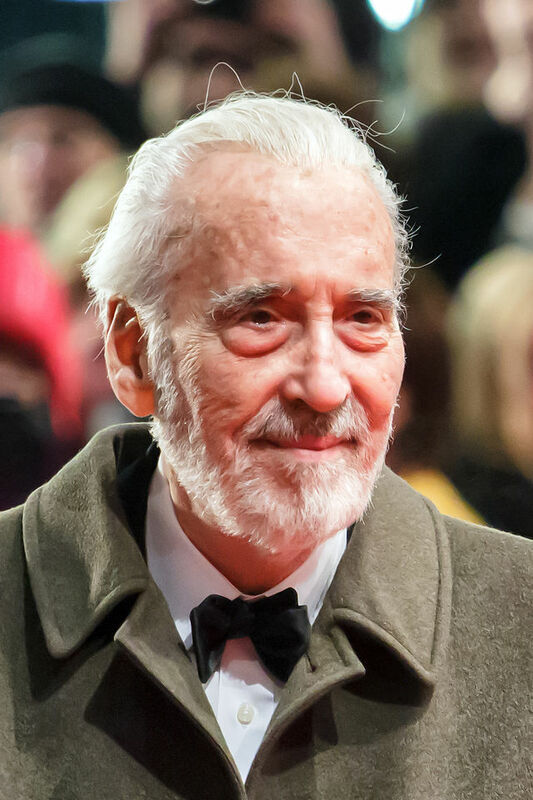 On screen, he played some of the most memorable villains of all, from Count Dracula, in the early Hammer Horror films, to Scaramanga in James Bond and, more recently, he was famous for his portrayal of Saruman in The Lord of the Rings film trilogy. Here is just a mere taste of an amazing life; ten things you never knew about the late Sir Christopher Lee. At the age of seventeen, during a brief stay in Paris, Christopher Lee witnessed the last ever public execution in France by guillotine in June 1939. Eugen Weidmann was executed outside a prison in Versailles. The behaviour of the spectators at the execution was so scandalous, that all future executions in France were carried out in private. When Christopher Lee played the part of the villainous Scaramanga in the 1974 James Bond Movie, The Man with the Golden Gun, he became the only ever man to play a Bond villain who was actually related to Ian Fleming. Fleming was Lee’s cousin by marriage. Lee was also Fleming’s first original choice of actor to play the part of James Bond. 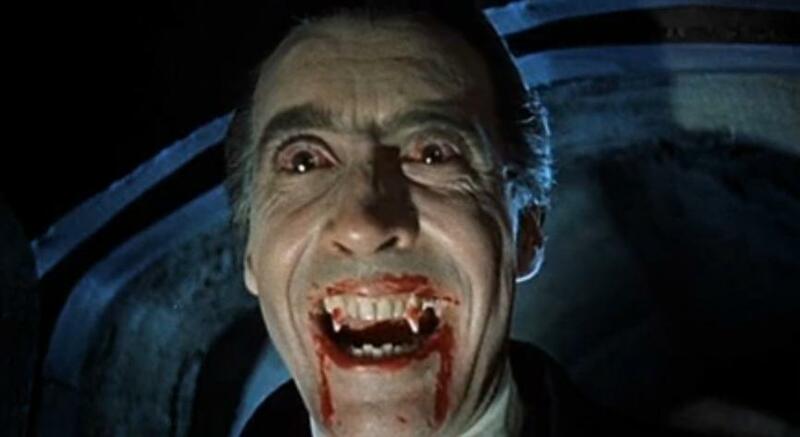 You probably know that Christopher Lee was the king of horror actors, but did you know that he was born of royal blood? 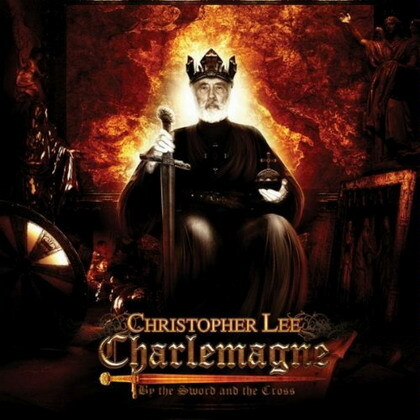 Christopher Lee was the son of Contessa Estelle Marie Carandini di Sarzano, whose noble family can be traced back to the first century AD. In fact, his lineage can be traced all the way back to Emperor Charlemagne of the Holy Roman Empire. Not to mention his membership of the noble order of the Jedi! Christopher Lee was an avid fan of The Lord of the Rings, right from the very first publication of the first volume, and it is said that he read the entire story, once every year. The man who went on to play the part of Saruman in The Lord of the Rings movie trilogy, once met the author, J.R.R. Tolkien in a pub in Oxford. Apparently, Lee as so in awe of the great master of fantasy fiction that all he could say to Tolkien was, "how do you do?" Christopher Lee joined the Royal Air Force during World War Two, but he was unable to fly due to a problem he had with his eyes. As an alternative to flying, he made his contribution to the war effort as an intelligence officer in what was to become the SAS. Whenever he was asked about his role in the Special Forces, Lee always declined to comment any further on the precise nature of his involvement. Following the end of World War Two, Christopher lee spent time with the Central Registry of War Criminals and Security Suspects hunting down suspected Nazis. He left the forces at the age twenty five and it was then that he decided to try his hand at acting. Christopher Lee will always be remembered for his portrayal of Count Dracula in the early Hammer Horror movies, but he played many different villains in his time with Hammer from 1957 to 1976. In his first Hammer Horror, he played Frankenstein’s Monster and he also played Rasputin the mad monk and a mummy. Towards the end of his time at the Hammer studios, Lee become so disillusioned with the scripts that he refused to speak a single word in the 1966 movie Dracula: Prince of Darkness. The producers, though, decided that they would rather have a silent Lee, than no Lee at all. Being such a huge fan of J.R.R. 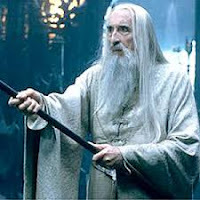 Tolkien’s Lord of the Rings trilogy, as soon as Christopher Lee heard that there was to be a movie made of the books, he wanted a part in it. He sent the director of the movies, Peter Jackson, a personal letter asking for a part and he enclosed a picture of himself dressed as a wizard to prove just how suitable he would be for a role in the film. Christopher Lee was not only a heavy metal fan, he made his own heavy metal records too. In 2010, aged 88, Lee released an album called Charlemagne: By the Sword and the Cross, which won “Spirit of Metal” award from the 2010 Metal Hammer Golden Gods ceremony. 10. Christopher Lee – and there’s more! As if war hero, heavy metal musician and being the star of over two hundred different movies weren’t enough, Christopher Lee was also a world champion fencer, he could speak six different languages and he as an opera singer too! Now that’s a guy that lived his life to the full.